Alford Basiliskos, of the galactic Basiliskos Empire, has been sent by his father to conquer the earth with a giant robot. To his father's disappointment, Alford is more interested in passing his days eating doughnuts from the cute, kind Hoshigawa Yumi at her doughnut shop. Will Alford be able to find his motivation to conquer the earth? And will he ever find a way to get closer to Hoshigawa? 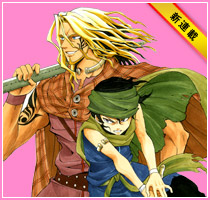 20-year-old Aihara Minoru has come to Tokyo to make his dreams of becoming an action manga artist come true. To his amazement, he lands a job as a live-in assistant of his favorite mangaka, Takakura Kenji, who writes a popular fighting manga called "Ultimate Banchou." Upon arriving at his new workplace, however, he discovers that his idol is not the tough guy he'd always imagined. 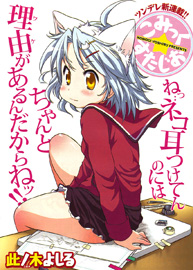 The truth is, Takakura Kenji is the pen name of Sekai Ichiko, a girl his age who is basically a moe character (she looks and acts like a little kid). After Aihara's obvious disappointment starts them off on the wrong foot, it's going to be tough for him to prove to her that he has what it takes to be a manga artist! Mao lives with his three sisters in a village full of the presence of gods. 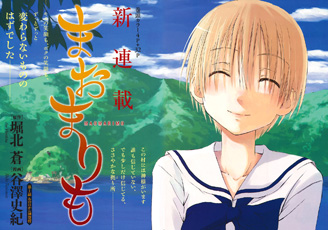 On the day of the village festival in his first year of high school, he was given a divine destiny: to become a girl. While Mao is happy and accepting of his new womanhood, the other people in his life have more trouble coping. His aggressive twin sister Akoya (nicknamed Ako), who used to tease him for being a feminine crybaby, seems to blame herself for his transformation. Both Mao's twin sister and his closest male friend from school are going to have a hard time adjusting the way they think of this new female Mao! In the year leading up to the battle of Sekigahara (1599), the western Uesugi retainers encounter a beautiful, mysterious young woman who calls herself "Kagerou" in the red light district. 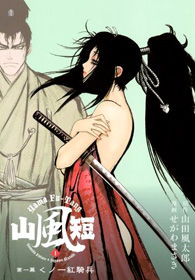 After they witness her combat skills first hand, she reveals herself as the beautiful young man "Oshima Sanjuro"! He then joins the side of the Uesugi clan, against the Tokugawa. However, is this beautiful stranger really a man or a woman? After the legendary duel between Miyamoto Musashi and Sasaki Kojiro on the small island of Funajima (a.k.a. Ganryūjima) in 1612, Yogorou of the Hosokawa clan became obsessed with fighting Musashi. On the path to this goal, he meets a skilled young woman fighter by the name of Tose. Agrippa was pretty neat, its not all that often that there's a manga about French history. 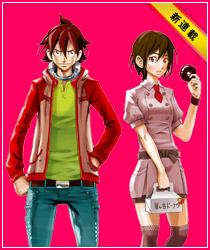 Comic Studio was pretty funny, though the 20-year-old love interest totally looks like she's 8. If you haven't done so already, check out the scanlations of the mangas from previous shout outs which have been recently scanlated: psychological action manga Meteor (MH link), action adventure Dragon Nest: Shungeki no Sedo (MH link). I was going to say mix Basilisk with Vagabond. Looks somewhat interesting. I'd definitely go with Agrippa though, that's the only one that really caught my eye (despite the fact I love both Basilisk and Vagabond).